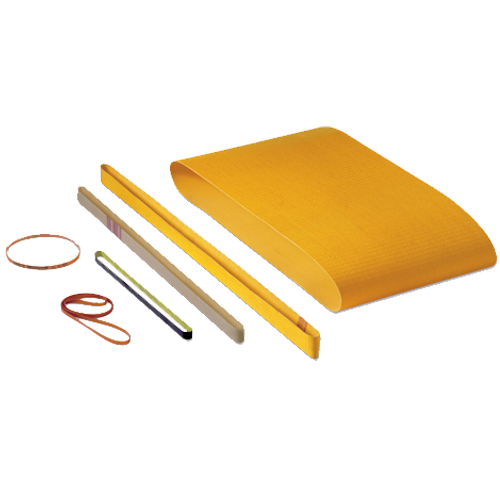 Megadyne Megaflat PU Belts are available in unsupported, knitted and woven structures. Our knitted product offering includes belts that are both elastic and stable in design and available with neoprene or silicone elastomers. Our woven structure is also available in semi-stretch and stable constructions with urethane or foamed urethane elastomer. Megaflat PU flat belt are used in both light power transmission applications as well as conveying of, paper products and light weight products. Megaflat PU flat belts are used in applications as made or to create a foundation for covers and coating additions. Polyurethane MEGAFLAT: wide variety of coatings means wide range of application possibilities. 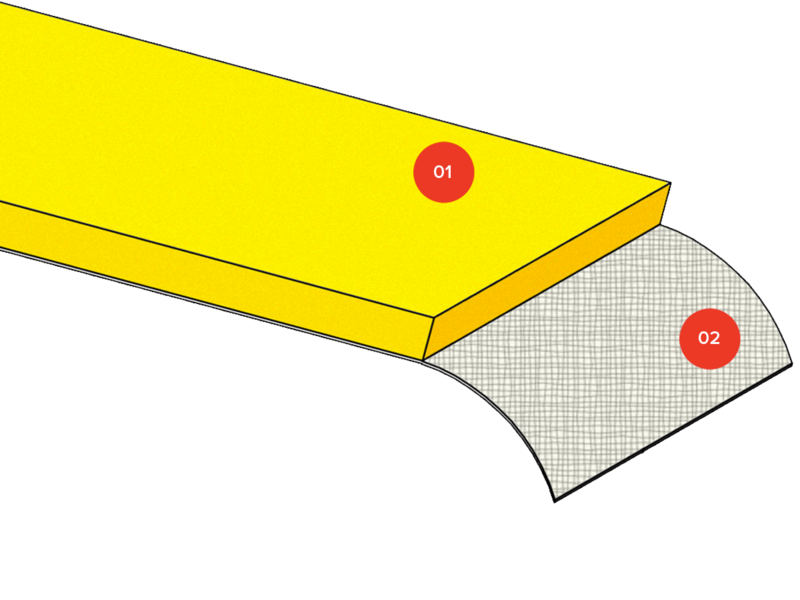 Foamed polyurethane (yellow, grey, red and white) for good coefficient friction to paper. Silicones, in colours withe, grey, red and blue, FDA approved for high temperature. P0, P102, P105, P107, P108, P110, P120, P155, S108, S110, S120, S155. Are you interested in PU MEGAFLAT?